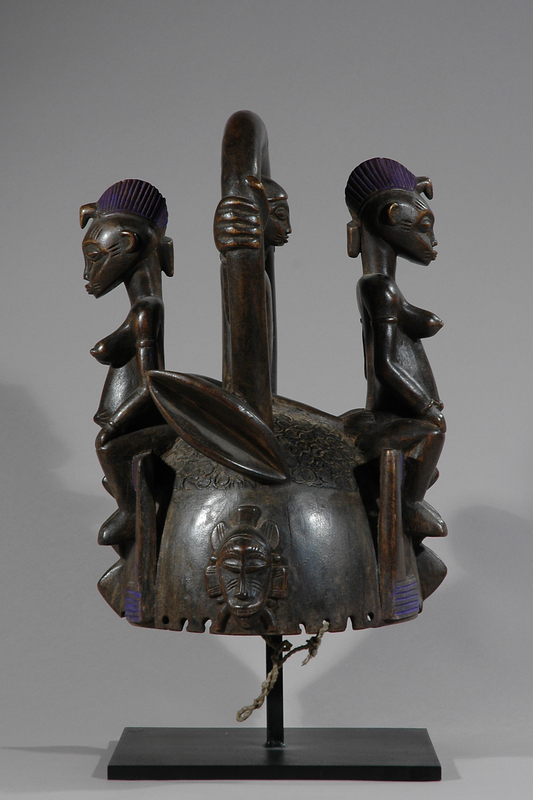 This is a very fine Senufo Deguele helmet mask of hollowed domed shape perforated around the edges for attachments and it has a raised curved top with two finely shaped ears that curve upward. 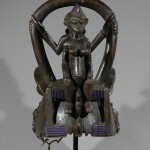 It is well carved with fine details in the two seated, female figures flanking a male person who keeps in a hanger in the middle of the bonnet top. 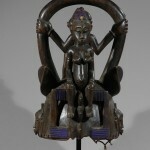 Everything appears with a beautiful, dark-brown patina with traces of blue remnants of ritual markings that show both age and use. 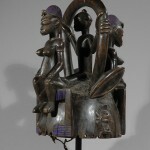 The helmet was most likely made for a young man of a very high rank family. 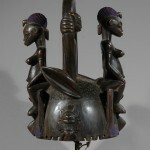 Helmet masks like this one were used for ceremonies preparing young men for the actual initiation, the membership of the “poro” society. The actual initiation cycle in the “poro” society last for seven years. 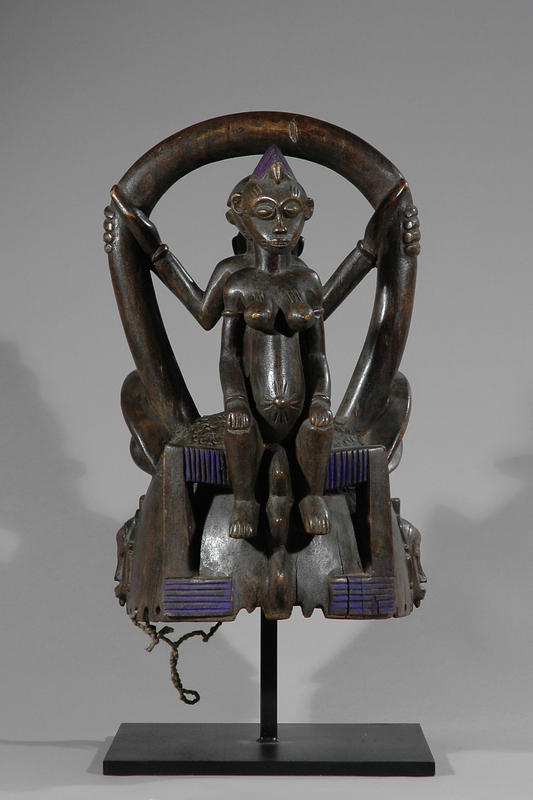 The Senufo are spread across the Ivory Coast, Mali and Burkina Faso and number about one and a half million in total, sustaining a living off of farming and occasional hunting. They live in villages that are governed by a council of elders, who in turn are led by a chief that was elected from them. 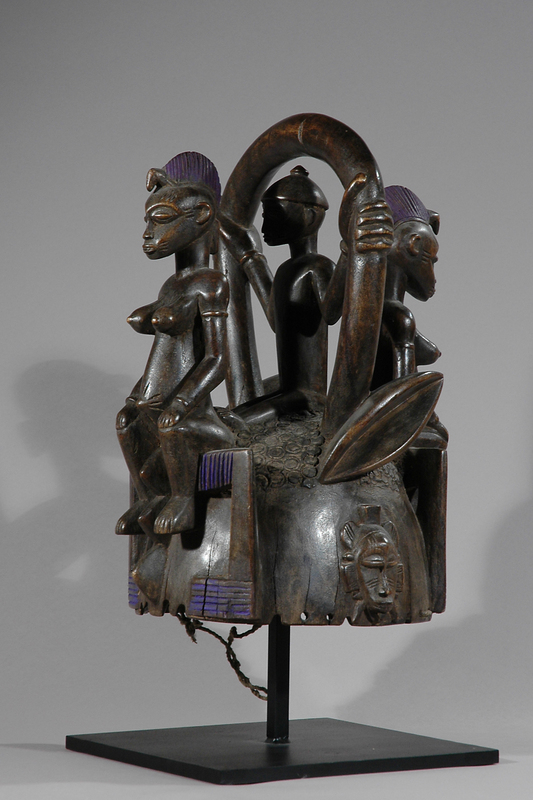 The tribal structure was controlled through the rituals of the Poro society that initiates and controls the men from as young a seven years of age and on. 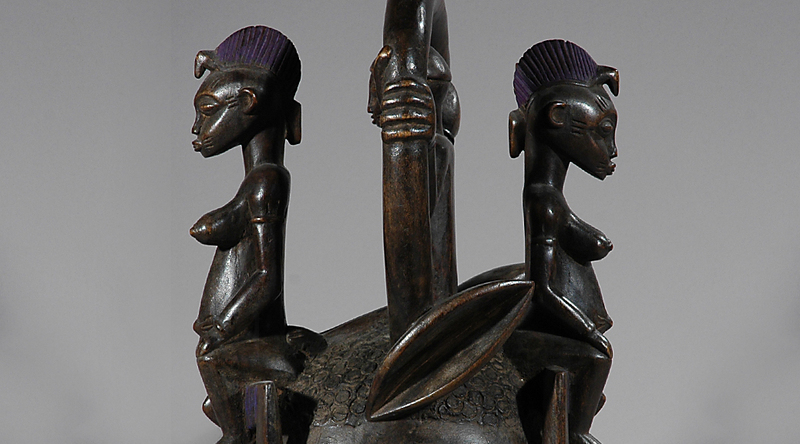 The Poro society organization was based on age grades; they exert social and political control, convey traditional knowledge, and fulfill religious functions, especially during elaborate funeral ceremonies. 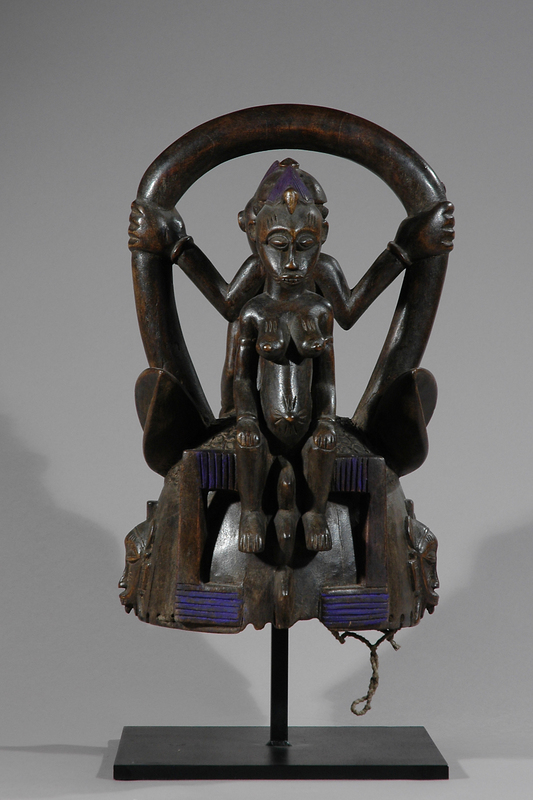 The Senufo spirituality is based on the god and goddess principals, with their powerful god, Koulotiolo, and goddess mother, Katielo, regenerating the world through the rituals of the Poro society. Age: Mid. 20th Century. Probably 60-75 years old.